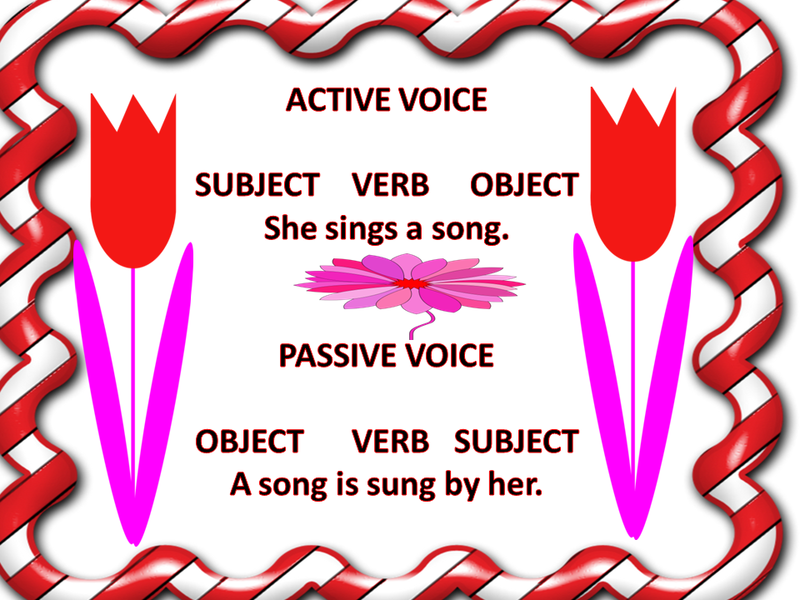 What is Voice - Active Voice & Passive Voice ? Why is voice needed? 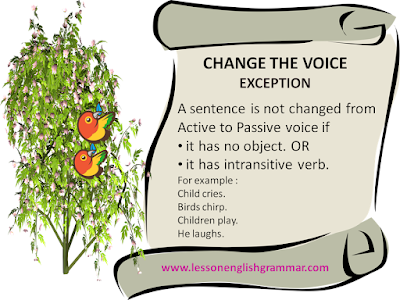 The process of making a change from active to passive form of a sentence is called 'change of the voice'. 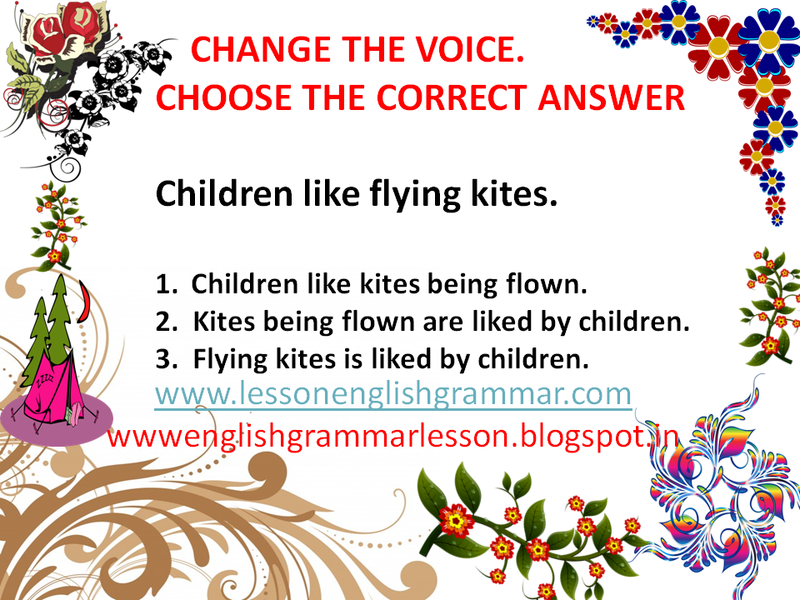 In examination there are questions in the form of change of sentences from one form of voice to another i.e. from active to passive form or vice versa & there are questions to rectify errors due to wrong change of form of sentences. 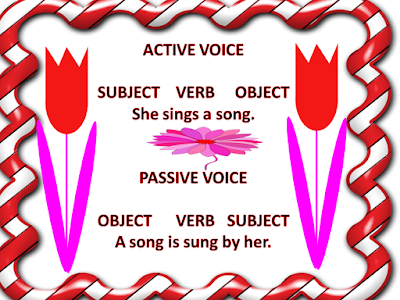 A sentence generally has in it a Subject , Verb and object. But some sentences do not have an object but for change of voice an object in a sentence is necessary. 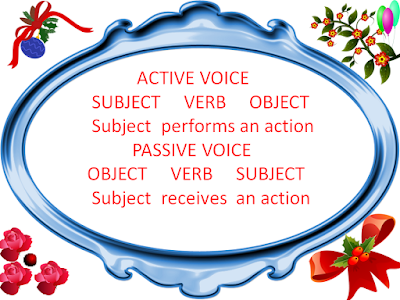 While changing a sentence from active to passive form, we bring object in place of subject and move subject to the place of object. 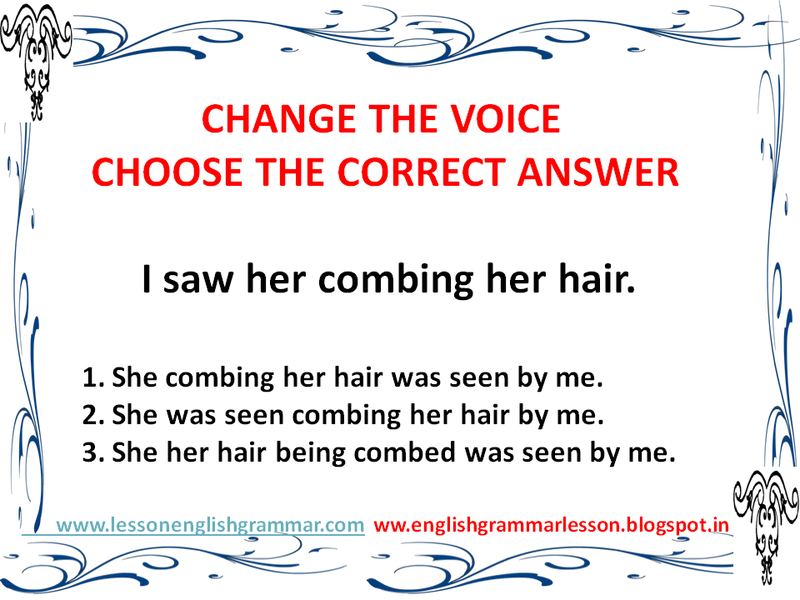 A word 'by' is used before subject (at object place) of course with some exceptions. 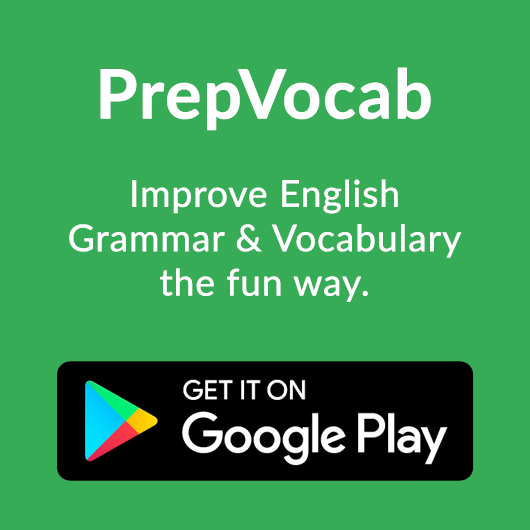 The remaining part of the sentence (other than Subject, verb and object) is placed after the third form of verb used in the sentence.
' Is, am , are +being+ Third form of verb . She is plucking flowers in the garden . Flowers are being plucked in the garden by her. He is not plucking flowers in the garden. Flowers are not being plucked in the garden by him. Are they plucking flowers in the garden ? Are flowers being plucked in the garden by them ? Why are you not attending the marriage party?
' 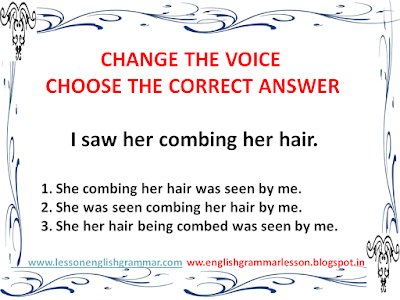 Was,Were +being+ Third form of verb . She was distributing sweets to children. Sweets were being distributed to children by her. Boys were playing a match in the morning. A match was being played in the morning by boys. She was not cooking food in the kitchen. Food was not being cooked in the kitchen by her. Was the mother telling a story to children? Was a story being told to children by the mother? 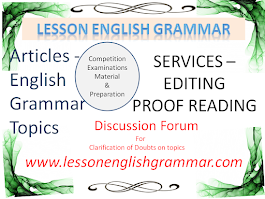 Note Generally sentences of Future continuous tense, Present, Past and Future Perfect continuous tenses are not changed into Passive voice but for the sake of grammar or for examination purpose, these are attempted here under.
' Shall or Will + be +being+ Third form of verb . Children will be learning their lessons. Their lessons will be being learnt by children. People will not be following his teachings. His teachings will not be being followed by people. Will you be doing your duty sincerely? Will your duty be being done sincerely by you? Will the students not paying their fee regularly? Will their fee not be being paid regularly by the students? Will you be hosting a party to the visitors? All the members will be attending the meeting. Will the chairman be delivering his speech? How will you be tackling the problem? Why will they be laughing at the beggar? 1. Will a party be being hosted to the visitors by you? 2. The meeting will be being attended by all the members. 3. Will his speech be being delivered by the chairman? 4. How will the problem be being tackled by you? 5. Why will the beggar be being laughed at by them? 'Has+been+being+ Third form of verb . I have been plucking flowers since morning. Flowers have been being plucked since morning by me. I have not been plucking flowers since morning. Flowers have not been being plucked since morning by me. Have I been plucking flowers since morning ? Have flowers been being plucked since morning by me ? 'Had+been+being+ Third form of verb . Boys had been playing a match since morning. A match had been being played since morning by the boys. I had been reading the newspaper for two hours. Had you not been paying the rent for the last two years ? Had the rent not been being paid for the last two years by you? She had not been singing songs for half an hour. Songs had not been being sung for half an hour by her.
' Shall or Will Have+been+being+ Third form of verb . They will have been occupying this house for two years. This house will have been being occupied for two years by them. The police will have been searching their house for two hours. Their house will have been being searched for two hours by the police. Will the players have been playing the match for an hour? Will the match have been being played for an hour by the players? The foster mother will have been bring up the child for two months. The child will have been being brought up for two months by the foster mother. 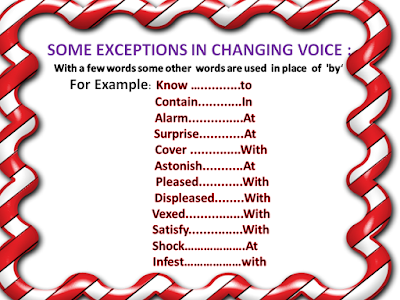 NOTE : While changing from active to passive voice in some cases instead of the word 'by' some other words are used. A list of such words is appended for reference. 1. Why is the child abusing the beggar? 2. What are the students doing at this time? 3.Why was she not painting a picture ? 4. She had been knocking at the door for half an hour. 5. Had the peon been ringing the bell for fifteen minutes? 6. What was he teaching the students in the class ? 7. Her son had been wasting his time for the last two weeks. 8. The peasants had been ploughing their fields since morning. 9. The manager will have been handling the affairs for the last so many months. 10. She will have been taking her examinations for two weeks. 1. Why is the beggar being abused by the child? 2. What is being done at this time by the students? 3.Why was a picture not being painted by her ? 4. The door had been being knocked at for half an hour by her. 5. Had the bell been being rung for fifteen minutes by the peon? 6. What were the students being taught in the class by him? 7. His time had been being wasted for the last two weeks by her son. 8. Their fields had been being ploughed since morning by the peasants. 9. The affairs will have been being handled for the last so many months by the manager. 10. Her examinations will have been being taken for two weeks by her.